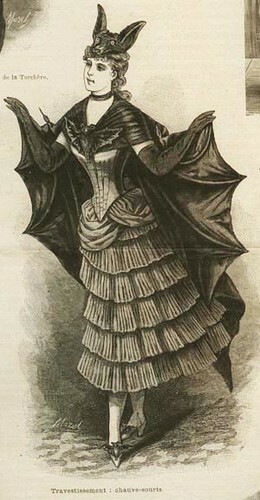 victorianbatcostume, treatment originally uploaded by carbonated. Is Ukraine prime minister secretly a goth? This month Yulia Tymoshenko, former prime minister of Ukraine, claimed victory in Ukraine’s national elections, forming a new coalition government with President Yuchenko. Yulia Tymoshenko was at one time named one of the top 3 most powerful women in the world by Forbes Magazine and could be a serious presidential contender in the year 2010. But the question on the minds of both Tymoshenko fans and detractors is this: behind all the party rhetoric, is there a secret goth agenda? Coilhouse conducted a special investigative report. Our exclusive findings, after the jump. Halloween is very nearly upon us. While it’s most often misrepresented by items such as this, I refuse to let commercial culture rob me of this treasured holiday’s mystery. ???? ? T??a?? (Hedgehog in the Fog), the eerie masterpiece of Russian animation featured in this post, could have easily been part of the “what made me weird” article – it affected me greatly as a kid, feeding my hungry chimera and igniting within my fevered brain the very spirit of adventure. I like to think this was the exact intended effect. The story is simple: Hedgehog is on his way to pay his friend, the Bear Cub, a visit. They often meet for tea and count stars together. This time Hedgehog’s prepared a special raspberry jam for the occasion. Oh his walk he sees a strange white horse in the evening fog. The fog is so thick that Hedgehog wonders whether the horse would suffocate if it were to lie down in it. The beautiful animation drips with symbolism as the Hedgehog, driven by his curiosity, steps inside the fog and into another world. He’s lost and faced with fear, loneliness, hostility and eventual redemption. Ever-present in my subconscious, Hedgehog In The Fog is a living dream, an embodiment of fascination with the great Unknown. I believe there is still time to make a new myth. There is still a chance for imagination to rise to power. 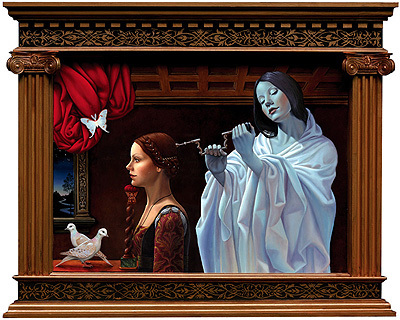 The mystical paintings of Madeline von Foerster invoke names like Van Eyck, Brueghel, Bosch, Remedios Varo, Ernst Fuchs. 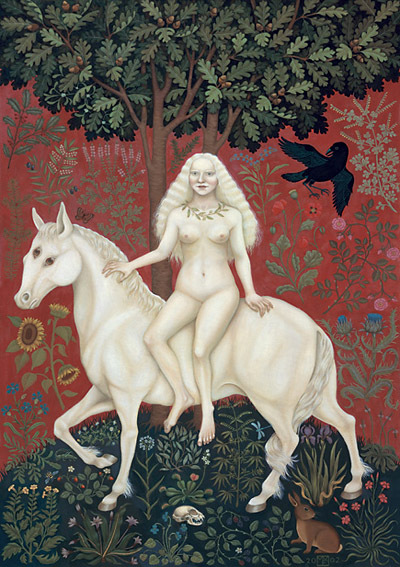 It’s vibrant, multi-layered work, filled with Occult and Medieval symbolism and rendered in the painstaking egg tempera oil tradition of the Flemish Old Masters. Ageless, yet thematically timely, scholarly but always deeply personal, hers is simply some of the most moving work in the medium that I’ve seen from anyone of my generation. It’s a fairly large piece, 34″ x 42″ (not including the lavish frame, which she constructed and painted as well). If you’re familiar with the technique of egg tempera, closely examining a painting like this can be mind-boggling… all of those smoothly-placed, minuscule brush strokes, patiently layered, culminating in subjects that can only be described as having an unearthly inner glow. The enigmatic subject matter of trepanation thrilled me as well. It was your typical overcrowded NYC gallery opening. Plenty of cheap wine and fabulously dressed people, all talking a little too loudly over one another. Then there was Madeline, standing off to one side, as gracious, elegant and mysterious as one of her paintings. Since that time, I’ve come to know her as one of those exceedingly rare examples of a person whose life reflects purely in their art. Some of her recent work is currently up in a group show at the Strychnin Gallery in London. Take a peek at it and some other pieces behind the cut. Nnnf. No words, really. 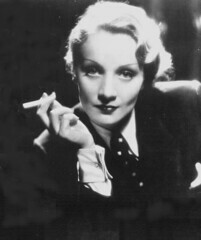 Well, except perhaps to remind readers that this is a woman who demanded that Max Factor sprinkle half an ounce of gold dust in her wigs to keep them sufficiently glittery, sucked lemon wedges between takes to keep her mouth muscles tight, and whose make-up artist once divulged that Marlene Dietrich kissed so hard, she needed a new coat of lipstick after every smooch. The tuxedoed “Queen of the World” is as commanding and stylish today as she was when Morocco was filmed in 1930. Heads up, Pennsylvanians. Cabaret noir performer Nicki Jaine will host an evening of Dietrich’s music in honor of the singer/actress’ 106th birthday on Thursday, November 8 at the Stockton Inn. Nicki Jaine’s velvety contralto is sure to thrill Dietrich fans to their very marrow. Talk about two great tastes that taste great together. Just like strawberries hotdogs and champagne (once said to be Marlene’s favorite meal) only decidedly less zaftig. Halloween is great because everything in stores has skulls, pills bats and the spiders on it. Most of it is too cheesy to be taken seriously, health but there are quite a few diamonds in the rough, sickness especially this year! 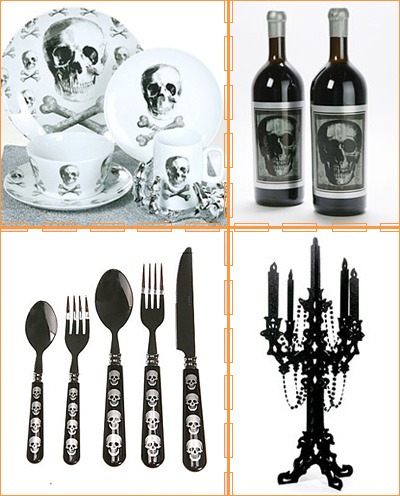 The best place to scour morbid decorations for your home is The Hostess Blog, which has a delightful Halloween section for spooky dinnerware, candles, chocolates and more. My favorite is the “Last Meal Flatware Set” by Urban Outfitters. WANT! 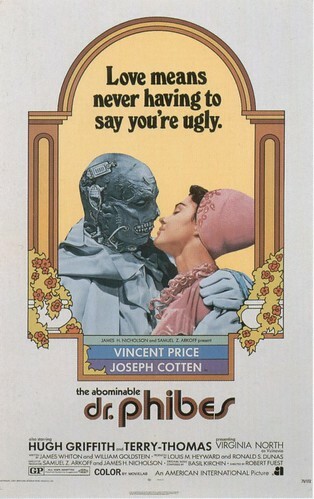 The Abominable Dr. Phibes… Better Than Coffee? Wakey wakey, troche dear readers. This vengeful cult classic starring our beloved Vincent Price has got it all. Art Deco by way of the 70s. Clockwork orchestras. A creepy, yet relentlessly stylish assistant named Vulnavia. (Yes, I said Vulnavia.) Bats. Bees. Deadly frog masks. A killer musical score by Basil Kirchin. Rat-induced plane crashes. Unicorn impalement. (Yes, I said unicorn impalement.) And the list goes on. Perfect Day of the Dead fare. Watch at your peril. The Muse. Photo by Viona, outfit and jewelry by Elisabeth. The links are to Viona’s site, and the project can be seen on Elisabeth’s Flash site as well with poetic quotations describing each. It’s past 1 AM, I’m munching on a buttery, cheesy bruschetta, and listening to Miss Platnum’s “Give Me the Food.” The song has an unusual theme for an R&B tune: a celebration of eating! “I like my coffee with a lot of cream, I like to eat late at night, I like scrambled eggs after a sweet dream, I like potatoes – deep fried,” sings Miss Platnum. The Romanian-born, German-based singer laughs off dieting: “I don’t care what people say about my weight, so if you want to take me out for a date, make sure there is enough food on my plate.” In addition to the great message and fun music video, it’s just a ridiculously catchy song. Miss Platnum’s powerful voice and witty delivery instantly make their way to the heart, even if you (like me) generally don’t listen to R&B. Watch the video, after the jump. Via Gala Darling. What’s Zo Wearing? is syndicated with permission. A confession: I might have exaggerated about the toga thing last week. While I’m still feeling the draped thing, some amount of clean lines will always appeal to me. Here’s an almost entirely Japan-acquired Z-standard outfit. The price isn’t exactly Z-standard this time but I was on vacation, dammit. On to the super-villain gear, comrades!